Providers are facing new challenges as the influence of managed care increases on their practices. Access to providers is diminishing. Representatives who understand the dynamics of the new healthcare environment will be increasingly valuable to their customers and will have greater impact with the calls they make. Does your sales team have the knowledge and insight necessary to address their providers’ managed care issues? Are your representatives keeping up with the rapid pace of change in their HCPs offices? Is your company contributing to the solution? Provide them an indispensable resource for pharmaceutical sales success. The Essentials of Managed Care includes the knowledge they need to remain ahead of the game, and build their confidence, so they can address all these issues with their customers. 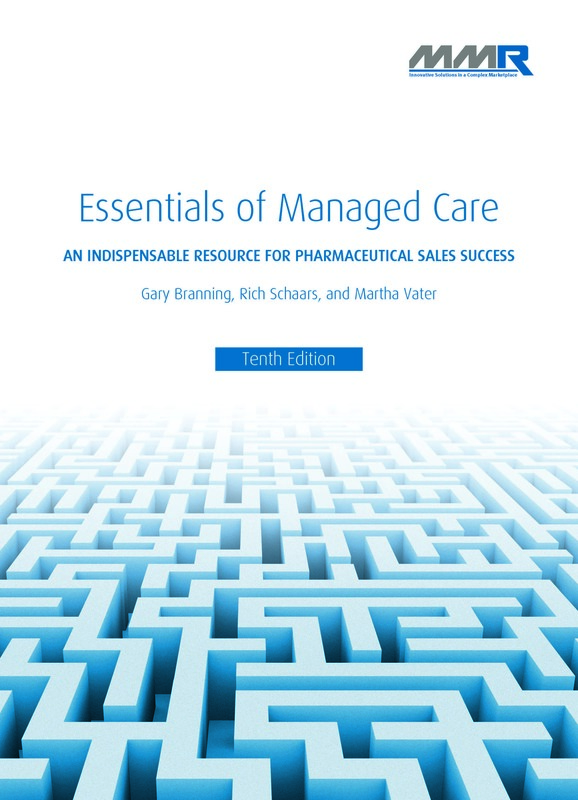 Essentials of Managed Care is an MMR-produced learning manual that enhances education to drive better sales performance. It serves as a guide to understanding the evolving healthcare landscape, with a thorough explanation of the US managed care marketplace. The knowledge provided is reinforced throughout the book via real life examples and role play scenarios to instill confidence for each and every call. 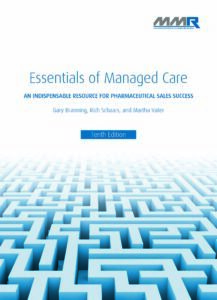 Empower your sales team with the knowledge they need by ordering the Essentials of Managed Care written by MMR. Click Here to review a sample copy of the book. Click below to purchase the e-book. If you are interested in purchasing more than one printed book, please contact info@m2res.com or 973-426-6500.